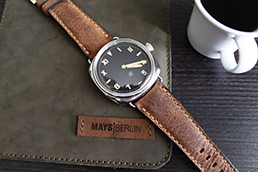 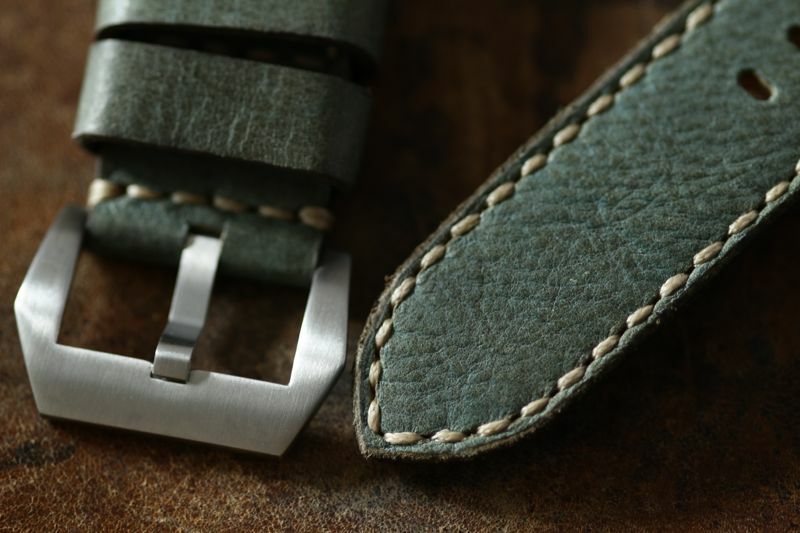 The "Mays-Berlin Mint green series" is a discreet vintagestrap with a Mint green/Turquoise color. 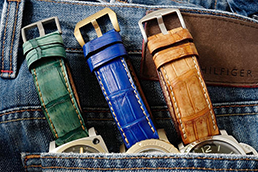 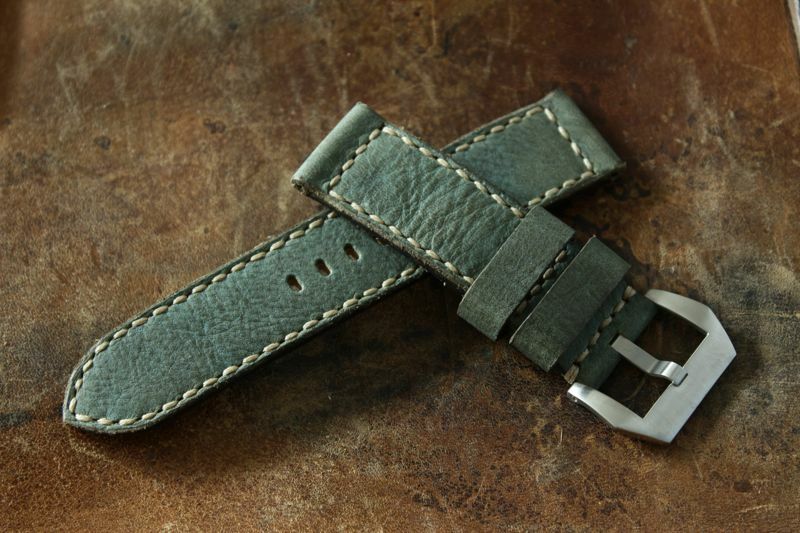 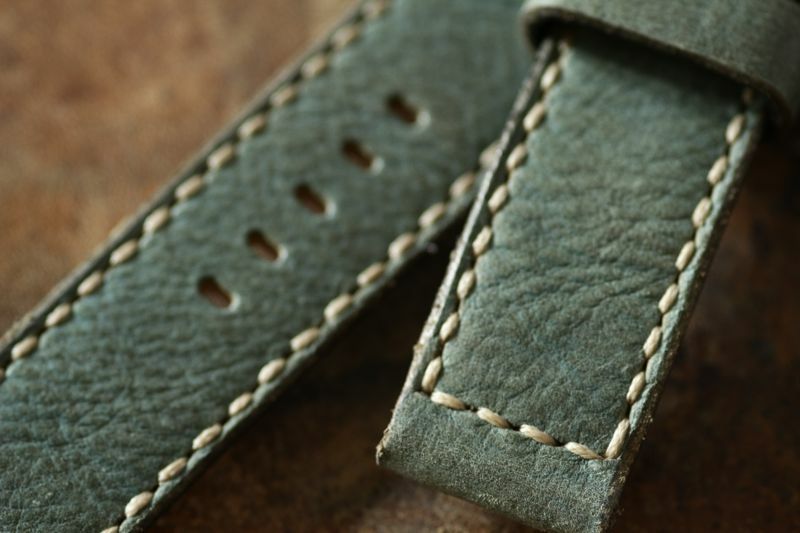 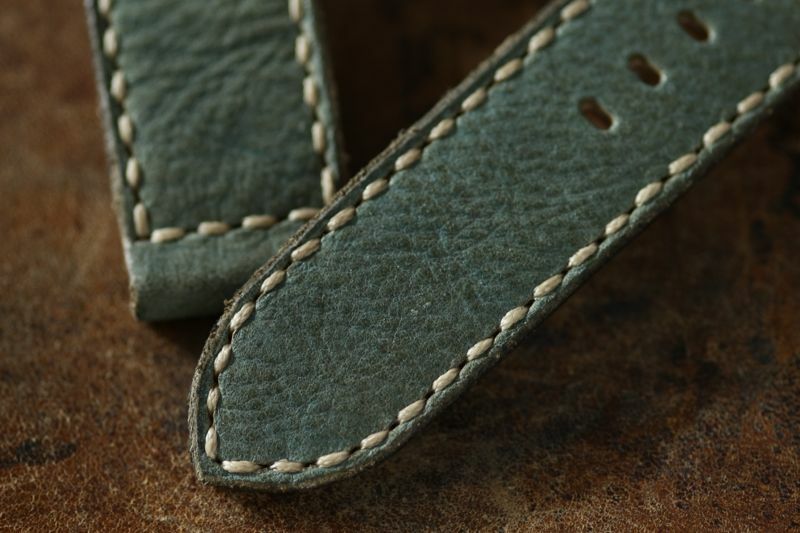 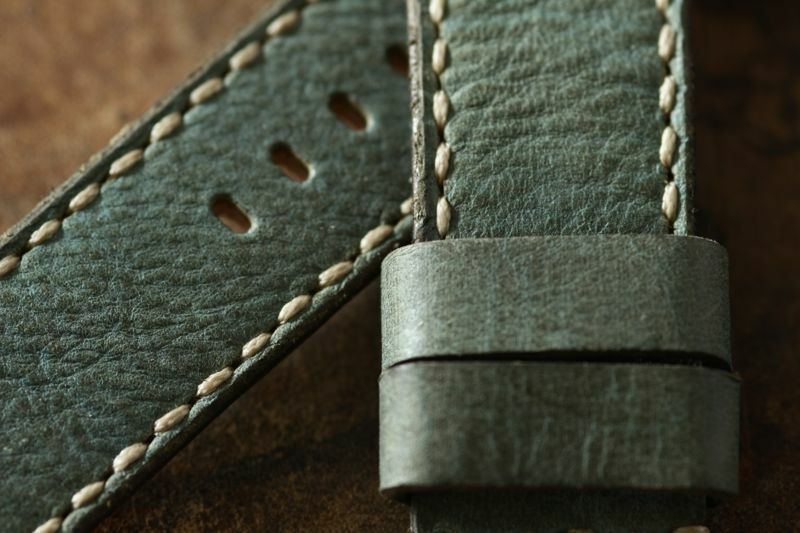 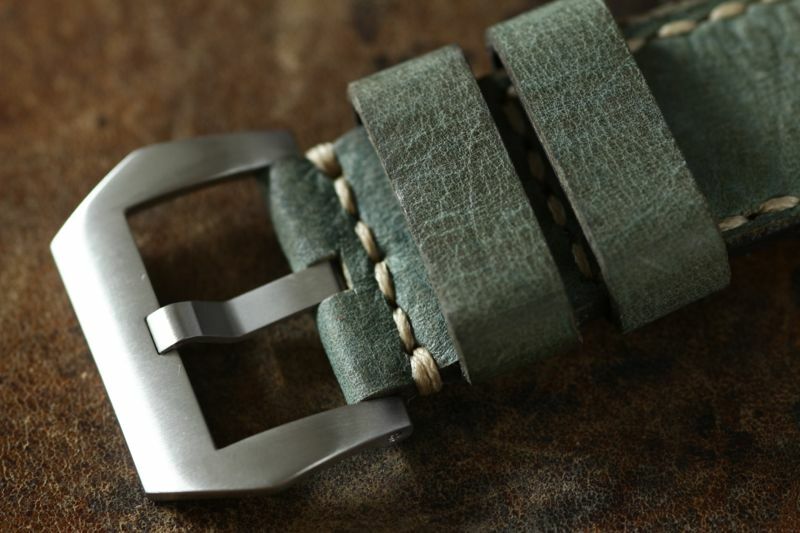 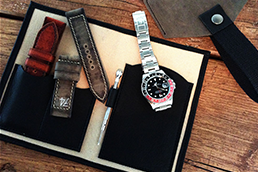 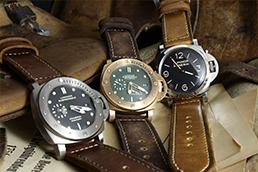 The special leather we used for the "Mint green series" gives the strap a natural discreet vintage character. 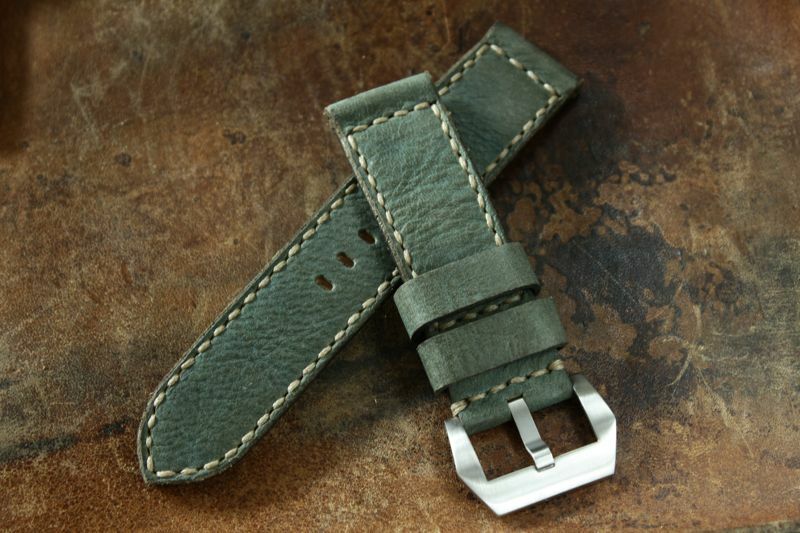 The picture shows a PRE-V Style buckle with a brushed finish, which can be ordered by the price of 15 Euros.